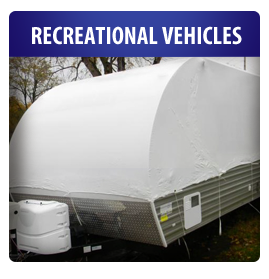 Avoid the frustration of ill-fitting tarps and the cost and hassle of indoor storage. ShrinkAll can custom-seal your beloved boat or RV at an affordable price - and we come to you for your convenience! Commercial equipment is an expensive investment. Protect it with ShrinkAll when shipping or storing it. 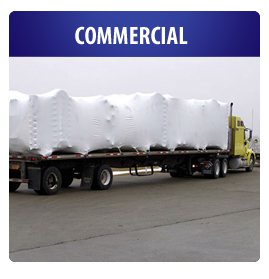 Our shrink wrap is very durable, and we can accommodate any shape or size. Industrial shrink-wrapping provides a tough, skin-tight shroud that is cost-effective and protects your assets from the weather. We can shrink-wrap buildings, equipment, scaffolding or any type of construction project.